The Africa Aerospace and Defence Air Show remains Africa’s premier aviation event; showcasing leading-edge commercial and general aviation related technologies, products and related services offered by both local, as well as international defence industry players. As proven over the past decade, the show is attended by defence ministers, heads of armed forces and subservient services as well as functional experts from air forces, landward as well as maritime forces across our continent. Hence participation in AAD does not only impact on South African armed forces and wider security organs, but provides access to key African decision-makers. Due to this cross-cutting impact the Safomar Group has experienced first-hand the value that this exposition holds and we are excited to once again participate in this event as an Exhibitor. This prestigious event will take place at Air Force Base Waterkloof just outside Pretoria over the period 14th to 18th September 2016. The full spectrum of South African civil aerospace and defence-related industry will be participating in the show. Based on confirmed bookings for exhibition space, a number of countries such as America, UAE, Germany, USA, Italy, China, India & Turkey to name but a few have booked national pavilions.. In addition to this, a number of African countries have also indicated to present their defence capabilities. 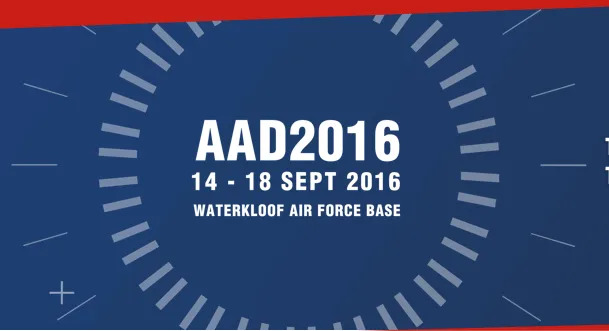 The first three days of the AAD 2016 exhibition 14th to 16th September are designated as Trade Days. This provides unequalled opportunity for exhibitors to interact and establish mutually-beneficial business relationships with decision makers, visiting delegations and captains of industry. By prior arrangement prospective clients and intended industry partners can also be exposed to displayed hardware during the trade days. The remaining two days, 17th and 18th September are set aside as Public Days during which a comprehensive world class flying display of local and international general aviation as well as military aircraft, aerobatic teams and selected landward equipment will be performing for the general public.. Being and established service provider in the region, the Safomar Group has extensive contacts with a wide spectrum of civil and military clients. Through this we are able to effectively represent you in marketing, delivering and supporting equipment as well as associated commodities and consumables that you have allocated to us. With the successes of past years, Safomar is committed to again exploit every opportunity offered by AAD 2016 to expand our collective business interest in South Africa and the allocated regions on the continent.